Equations are true if both sides are the same. Properties of equations illustrate different concepts that keep both sides of an equation the same, whether you're adding, subtracting, multiplying or dividing. In algebra, letters stand for numbers that you don't know, and properties are written in letters to prove that whatever numbers you plug into them, they will always work out to be true. You might think of these properties as "algebra rules" that you can use to help you solve math problems. Associative and commutative properties both have formulas for addition and multiplication. The commutative property of addition says that if you add two numbers, it doesn't matter what order you put them in. For example, 4 + 5 is the same as 5 + 4. The formula is: a + b = b + a. Any numbers you plug in for a and b will still make the property true. The commutative property of multiplication formula reads a × b = b × a. This means that when multiplying two numbers, it doesn't matter what number you type in first. You will still get 10 if you multiply 2 × 5 or 5 × 2. The associative property of addition says that if you group two numbers and add them, and then add a third number, it doesn't matter what grouping you use. In formula form, it looks like (a + b) + c = a + (b + c). For example, if (2 + 3) + 4 = 9, then 2 + (3 + 4) will still be 9. Similarly, if you multiply two numbers and then multiply that product by a third number, it doesn't matter what two numbers you multiply first. In formula form, the associative property of multiplication looks like (a × b)c = a(b × c). For example, (2 × 3)4 simplifies to 6 × 4, which equals 24. If you group 2(3 × 4) you will have 2 × 12, and this will also give you 24. 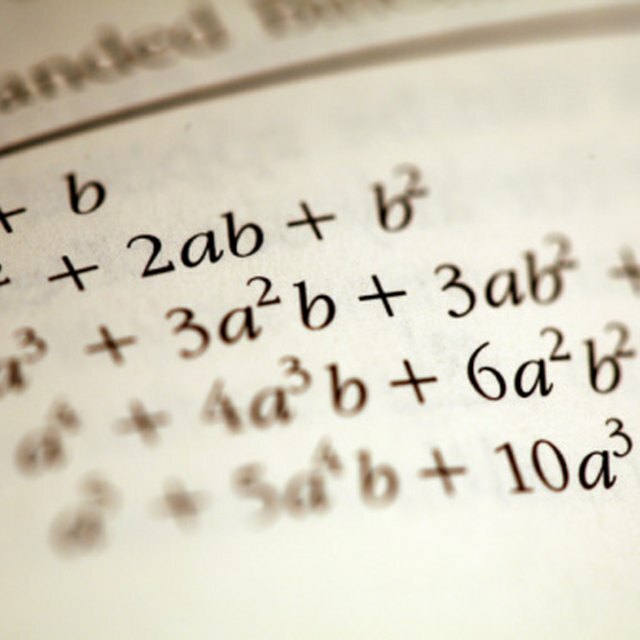 The transitive property says that if a = b and b = c, then a = c. This property is used often in algebraic substitution. For example, if 4x - 2 = y, and y = 3x + 4, then 4x - 2 = 3x + 4. If you know that these two values are equal to each other, you can solve for x. Once you know x, you can solve for y if necessary. The distributive property allows you to get rid of parentheses if there is a term outside them, like 2(x - 4). Parentheses in math indicate multiplication, and to distribute something means you pass it out. So, to use the distributive property to eliminate parentheses, multiply the term outside of them by every term inside them. So, you would multiply 2 and x to get 2x, and you would multiply 2 and -4 to get -8. Simplified, this looks like: 2(x - 4) = 2x - 8. The formula for distributive property is a(b + c) = ab + ac. You can also use the distributive property to pull out a common factor from an expression. This formula is ab + ac = a(b + c). For example, in the expression 3x + 9, both terms are divisible by 3. Pull the factor to the outside of the parentheses and leave the rest inside: 3(x + 3). The additive inverse property says that if you add one number with its inverse, or negative version, you will get zero. For example, -5 + 5 = 0. In a real world example, if you owe someone $5, and then you receive $5, you still won't have any money because you have to give that $5 to pay the debt. The formula is a + (−a) = 0 = (−a) + a. The multiplicative inverse property says that if you multiply a number by a fraction with a one in the numerator and that number in the denominator, you will get one: a(1/a) = 1. If you multiply 2 by 1/2, you will get 2/2. Any number over itself is always 1. Properties of negation dictate multiplication of negative numbers. If you multiply a negative and a positive number, your answer will be negative: (-a)(b) = -ab, and -(ab) = -ab. If you multiply two negative numbers, your answer will be positive: -(-a) = a, and (-a)(-b) = ab. If you have a negative outside of a parentheses, that negative is attached to an invisible 1. That -1 is distributed to every term inside the parentheses. The formula is -(a + b) = -a + -b. For example, -(x - 3) would be -x + 3, because multiplying -1 and -3 will give you 3. The identity property of addition states that if you add any number and zero, you will get the original number: a + 0 = a. For example, 4 + 0 = 4. The multiplicative property of zero states that when you multiply any number by zero, you will always get zero: a(0) = 0. For example, (4)(0) = 0. Using the zero product property, you can know for sure that if the product of two numbers is zero, then one of the multiples is zero. The formula states that if ab = 0, then a = 0 or b = 0. 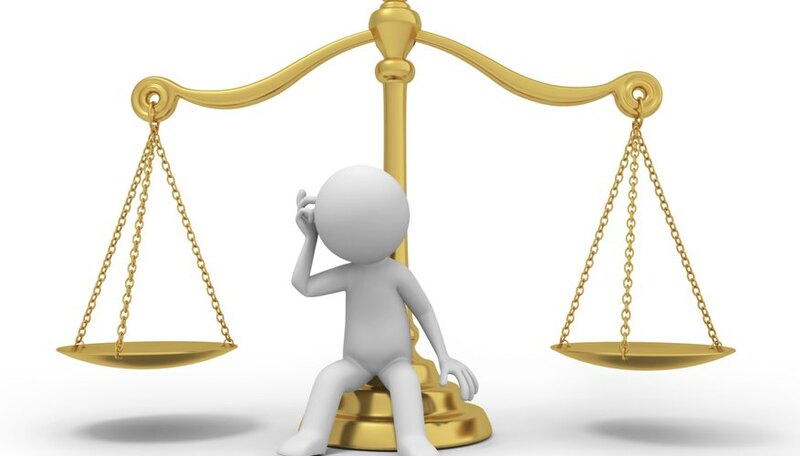 Properties of equalities state that what you do to one side of the equation, you must do to the other. The addition property of equality states that if you have a number to one side, you must add it to the other. For example, if 5 + 2 = 3 + 4, then 5 + 2 + 3 = 3 + 4 + 3. The subtraction property of equality states that if you subtract a number from one side, you must subtract it from the other. For example, if x + 2 = 2x - 3, then x + 2 - 1 = 2x - 3 - 1. This would give you x + 1 = 2x - 4, and x would equal 5 in both equations. The multiplication property of equality states that if you multiply a number to one side, you must multiply it by the other. This property allows you to solve division equations. For example, if x/4 = 2, multiply both sides by 4 to get x = 8. The division property of equality allows you to solve multiplication equations because what you divide on one side, you must divide on the other. For example, divide 2x = 8 by 2 on both sides, yielding x = 4. Richardson, Hannah. "Properties of Algebraic Equations." Sciencing, https://sciencing.com/properties-algebraic-equations-8637552.html. 08 November 2018.